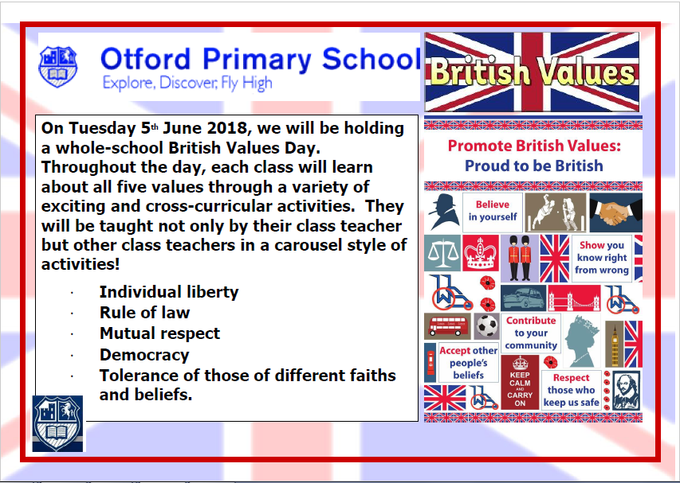 On Tuesday 5th June 2018, we will be holding a whole-schoolBritish Values Day. Throughout the day, each class will learn aboutall five values through a variety of exciting and cross-curricularactivities. They will be taught not only by their class teacher butother class teachers in a carousel style of activities! · Tolerance of those of different faiths and beliefs.